One of the single biggest investments in a coastal flood scheme to date, has been launched today. The £63 million pound Rossall flood defence, a partnership project between the Environment Agency, Wyre Council and contractor Balfour Beatty, is set to reduce flood risk to 7,500 homes and includes the creation of a new ecology park. Today’s launch event, hosted by Environment Agency Chief Executive, Sir James Bevan, was also attended by local media outlets including ITV, BBC, Blackpool Gazette and Lancashire Telegraph. Coverage so far includes: ITV News, Dredging Today and Place North West. 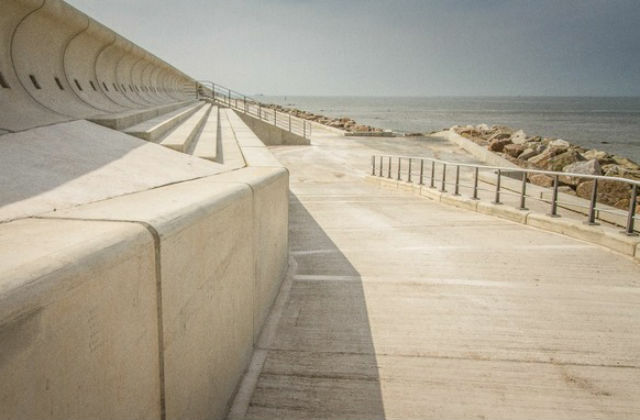 This is one of the biggest investments ever in a coastal flood scheme. It will reduce flood risk to 7,500 homes, create new green space and benefit the local economy, including by using locally sourced materials. It’s a great example of partnership: by working together the Environment Agency, Wyre Council, our other partners and the local community have helped create an even better place for people and wildlife. BBC Breakfast included a package this morning on the future of fishery protection vessels. The report came from HMS Mersey, an offshore patrol vessel in Portsmouth. Lt Adam Williams, a boarding officer on the vessel, explained the steps taken to ensure boats fishing in our waters are compliant with regulations, including assessing catch and inspecting nets. The UK has a robust system of enforcement in place, which we are committed to strengthening as we leave the EU. All Royal Navy’s Offshore Patrol Vessels (OPVs) are being replaced by 5, more capable, Batch Two OPVs. 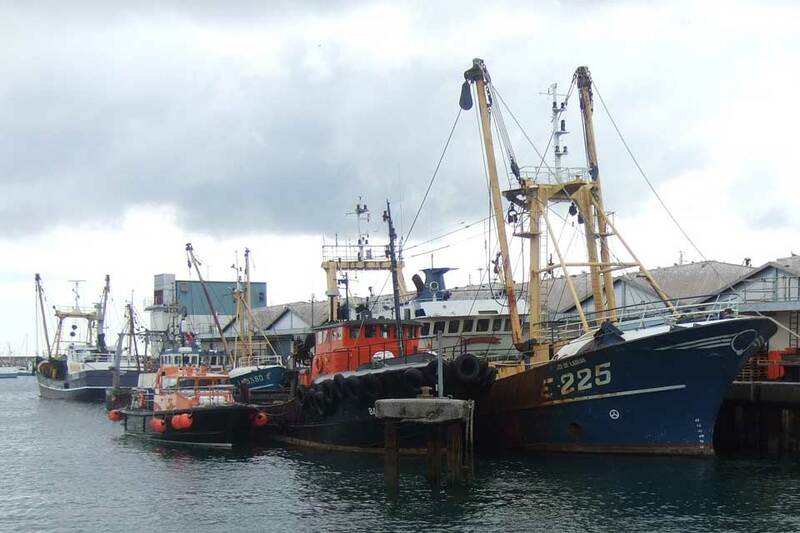 The assignment of these vessels to fisheries protection will be assessed by the MMO and the Royal Navy. In addition to these patrol vessels, there is a considerable amount of surveillance undertaken using a combination of monitoring systems. These include Vessel Monitoring System (VMS), Electronic Reporting and Data system (ERS) and Remote Electronic Monitoring (REM). Salisbury outlets including the Salisbury Journal, Spire FM and BBC Online, are today reporting that the Salisbury ambulance station is set to reopen, having been decontaminated following a nerve agent attack earlier this year. As part of our ongoing clean-up operations in Salisbury, decontamination work is now complete at the Salisbury Ambulance Station. The site has been handed back to Wiltshire Council, that has released it back to the NHS Trust. Returning this site to use is another positive step for the people of Salisbury and is part of the government's commitment to supporting this historic British city in its recovery. This site is the second to be handed back following decontamination. The first was the Maltings shopping centre on Monday (21 May), marking a significant step in the recovery of Salisbury and business getting back to normal. This is good news for Salisbury and is another positive step in the recovery programme. The city is returning to normal and the release of this site following the Maltings reopening last weekend is encouraging and reassuring that Salisbury is safe for visitors and local residents. South Western Ambulance Service has been operating as normal, with paramedics providing care to those who need it, and the move back to the station will be carefully planned to ensure continuity of normal services.